This comes straight from the newsletter. Glad SSWW is back! 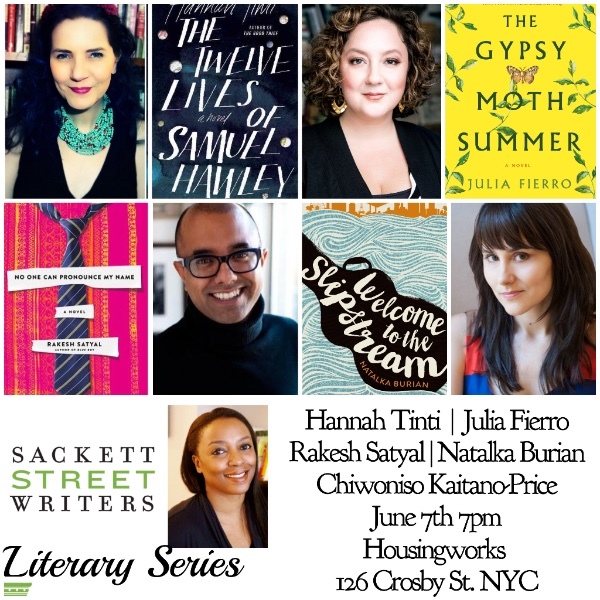 Join SSWW founder & director Julia Fierro (and many Sackett writers!) at the launch party for her new novel The Gypsy Moth Summer at powerHouse Arena bookstore in Dumbo. FREE, open to the public, and ’90s-themed drinks & treats will be served. RSVP via the Facebook Event Page. Read more about The Gypsy Moth Summer here. The Sackett Street Literary Series is back with a special event at Housing Works Bookstore Cafe featuring novelists: Hannah Tinti (One Story founder and author of The Twelve Lives of Samuel Hawley),Rakesh Satyal (author of No One Can Pronounce My Name), Julia Fierro (SSWW founder and author of The Gypsy Moth Summer), andNatalka Burian (Sackett Street alum, founder of The Freya Project, and author of Welcome to the Slipstream). 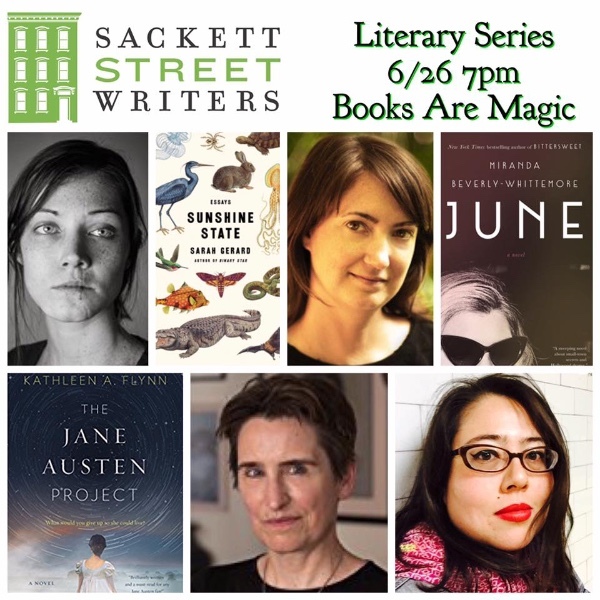 This conversation will be moderated by Sackett Street Writers’ Workshop alum Chiwoniso Kaitano. FREE, open to the public, and drinks will be served. RSVP via theFacebook Event Page. The Sackett Street Literary Series is thrilled to have a new home… Books Are Magic, the new indie bookstore in Cobble Hill opened by former SSWW instructor Emma Straub and Michael Fusco, and located only a few blocks from where Sackett Street began 15 years ago! Join us to celebrate four outstanding writers at Books Are Magic: alums Kathleen Flynn and Adalena Kavanaugh; instructor Sarah Gerard, and special guest Miranda Beverly-Whittemore. FREE, open to the public, and drinks will be served.